Welcome to the TWA WATER HUB | INDONESIA. Whether your organisation has been active in Indonesia for many years or considering to set its first steps, our team is happy to support you making the right connections in the Indonesian water sector and increasing the effectiveness of your (business) activities. Please find below our activity agenda for 2019. We will be updating this on an ongoing basis. You may read more about each of the activities and how you can participate, clicking on the links. For any inquiries, please feel free to contact Rangga Rishar Saputra (contact information below). During the Indonesia-Netherlands Bilateral Maritime Forum, the Eco-Smart Port Challenge will be launched, inviting young talent from across Indonesia to contribute their personal ideas and solutions for sustainable port development. The Port Academy program, hosted at Terminal Teluk Lamong in Surabaya, will feature an exciting mix of activities, including guest lectures, field trips, workshops and skills training to introduce the participants to the many dimensions of sustainable port development, guided by a team of Indonesian and international experts. TWA is collaborating with Deltares to bring the Port of the Future Serious Game to Indonesia for the first time. Coinciding with the Port Academy program, Deltares will introduce the game to a diverse group of Indonesian port experts and young professionals on 21 March 2019 in Surabaya. TWA Water Hub | Indonesia is inviting professionals from across Indonesia to join a multidisciplinary workshop that will investigate critical issues related to Water Quality. People are invited to participate as individual professionals who are interested to share their experiences and learn from each other. Everyone in a community of practice is equal. 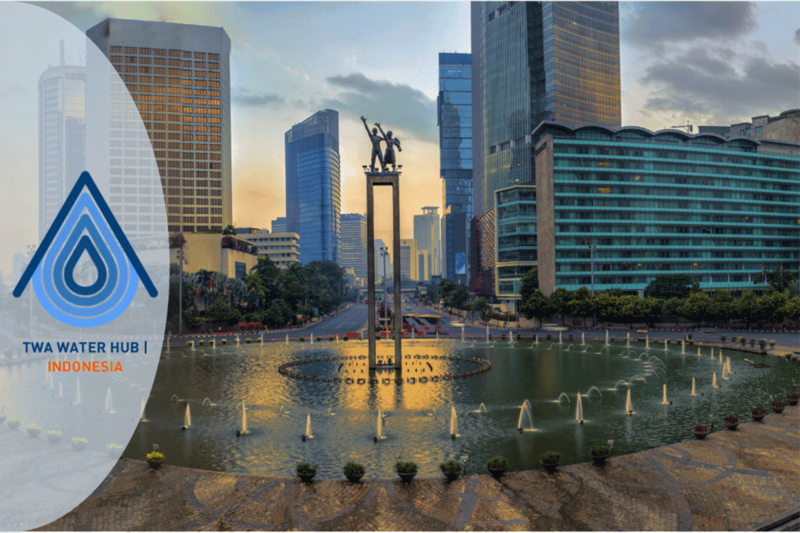 The first Indonesia-EU Water Network Event will bring together water experts from all across Indonesia and the EU to make new connections, learn about the latest developments on water and discover opportunities for collaboration. The highly anticipated Indonesia Water Portal will be officially launched in 2019! Following in the footsteps of the successful Myanmar Water Portal, this online platform will offer a one-stop gateway to all the latest news, events, projects and business opportunities in the Indonesian water sector. Partnering with a major water conference in June or July, TWA Water Hub | Indonesia is planning to stage an Innovation Lounge that will offer an exciting and engaging format to showcase new water innovations from around the world. TWA Water Hub | Indonesia aims to harness the bright minds of young people across Indonesia to help the enormous challenge of cleaning-up the country's highly-polluted rivers. Participants will be challenged to come-up with new ideas and solutions, supported by professionals. The Amsterdam International Water Week provides the perfect opportunity for interested Indonesian water professionals to visit The Netherlands to learn about many aspects of water management, meet with professionals from around the world, share the Indonesian experiences and discover new ideas and solutions. Retreat from flood impacts - where does it fit in the mix of options?